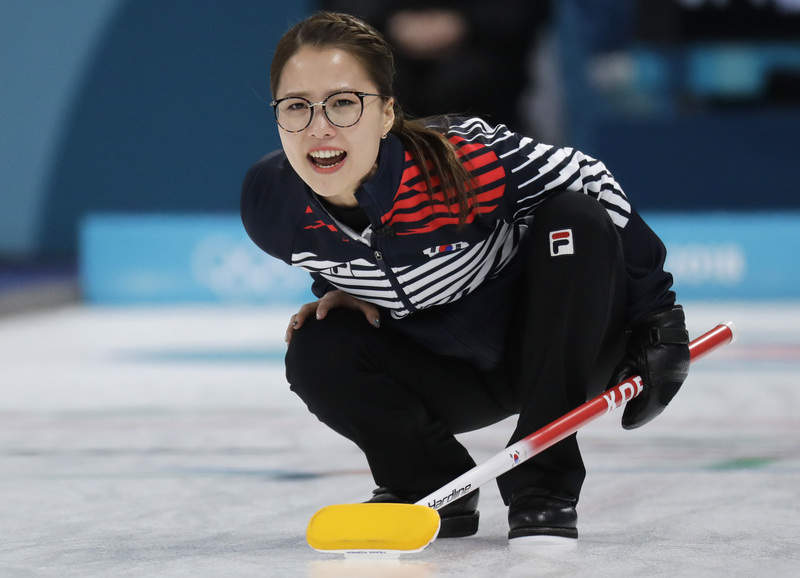 GANGNEUNG, SOUTH KOREA - Skipper Kim Eun-jung and the South Korean women’s curling team continued an unlikely run at the Pyeongchang Olympics on Friday, beating Japan to progress to the gold-medal match. 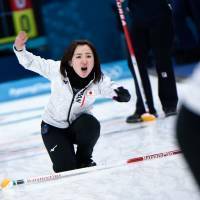 The team dubbed the “Garlic Girls” due to its members hailing from Uiseong, a town famous for garlic, was too good for fellow curling minnows Japan, winning 8-7. The home team will cross broomsticks with Sweden in Sunday’s final after the two-time Olympic champion disposed of Great Britain 10-5 in the other semifinal. “I can’t express my emotions into words. All I can say is I’m really, really happy and I’m so glad to have the chance to get a gold medal,” said Kim Seon-yeong, the South Korean second. South Korea opened the match in perfect style, its bespectacled skipper sending down a last-stone takeout to book three shots and put Japan on the back foot. Japan counterpunched immediately, scoring two shots of its own on the next end, skip Satsuki Fujisawa’s inch-perfect counterclockwise draw skirting a South Korean stone and stopping next to the button. 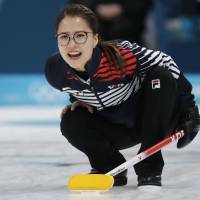 The teams shared points over the next two ends before Fujisawa made a rare mistake in the fifth, missing a double takeout chance and giving Kim Eun-jung an opening, which she slid her stone right through to grab two shots. Needing to score multiple shots to drag itself back into the match, Japan could only manage one in the sixth end and could not stop South Korea from extending the lead in the eighth. A two-shot ninth cut the lead to one and gave Japan hope going into the final end, and when the skipper’s hammer draw sliced off Japan’s shot stone it looked to be over. But the curling gods handed Japan a reprieve as the final stone slid away. While the South Koreans celebrated too soon, Japan survived for one more end. The skipper Kim was not going to let the match slip a second time, however, making sure of it with a pinpoint final-stone draw that she said she struggled to control because of the “weight” on her shoulders from her earlier error. 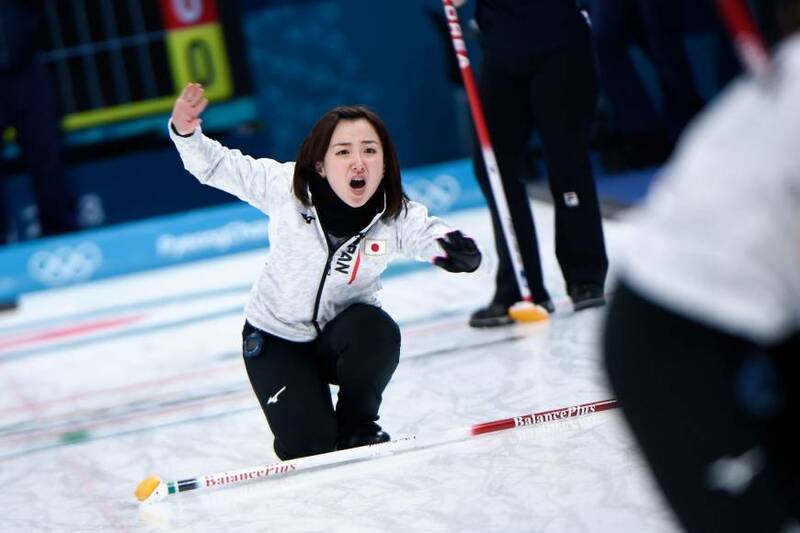 Japanese skip Fujisawa said she is left with “frustration” that the team missed this opportunity, but that the team showed excellent resilience to make some “nice shots” after the early setback. “Our opponents put real pressure on us with their shots (in the 11th end). I can only applaud them. We still have a chance at a medal in the next game. I want to compete with confidence,” she said. With six Olympic medals between them, Sweden and Great Britain’s pedigree provided stark contrast to the teams playing just meters away. The Anna Hasselborg-skipped Sweden, which entered the semifinal with two losses — to Japan and South Korea — proved much too strong for Eve Muirhead and Great Britain. After building a 3-1 lead after four ends, Sweden responded to a two-shot fourth from Great Britain with five unanswered points in the next two ends, putting the game out of reach and moving closer to the country’s first Olympic gold since the women went back-to-back in 2006 and 2010. “I’m so proud of our team performance in that game, there was a lot of nerves for us out there, but we handled them so well,” said Hasselborg.